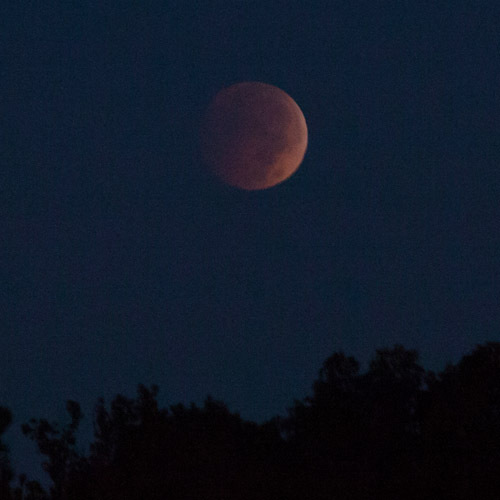 As noted by the excellent Father Z, in the East Coast of the US we had a lunar eclipse that did turn the moon reddish. Here are two photos (from two different cameras). 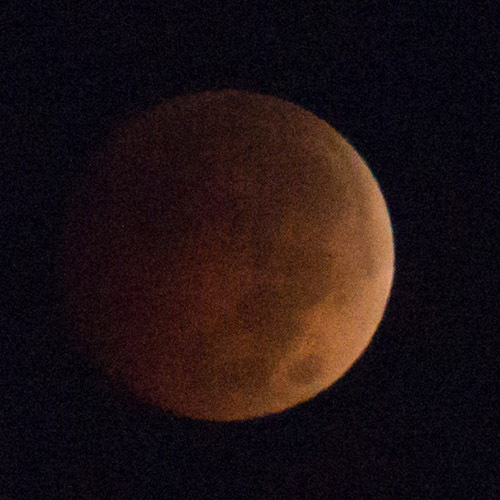 The larger image of the moon is cropped and had noise reduced, otherwise unedited. The one showing the landscape I brightened slightly with curves in Photoshop. In each case, the color is straight out of camera.